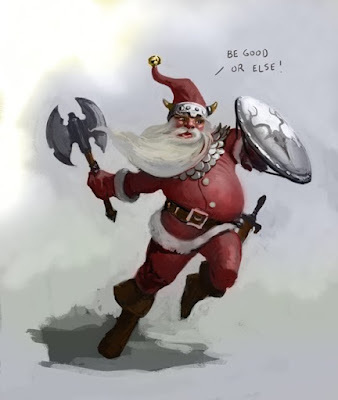 Anyone care to stat Viking Santa up? Merry Christmas everyone! No. Appearing: 2-8, Armor Class: 6, Move: 12", Hit Dice: 10, % in Lair: 10, Treasure Type: C, No. of Attacks: 5, Damage/Attack: 1-6/1-6/1-6/1-6/1-10, Alignment: Neutral. 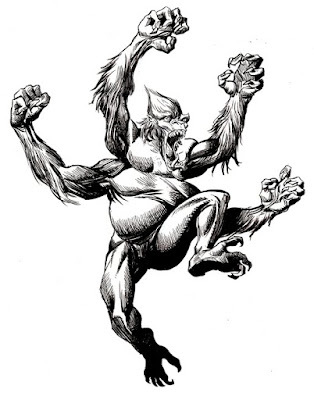 The white apes of Barsoom are very much similar in appearance and build as the Green Martians (see Thark), having six limbs and of tremendous size. The head of the savage creature is like that of the African gorilla and a shock of thick, stiff-bristled hair runs from the back of the skull and neck to the upper shoulders. 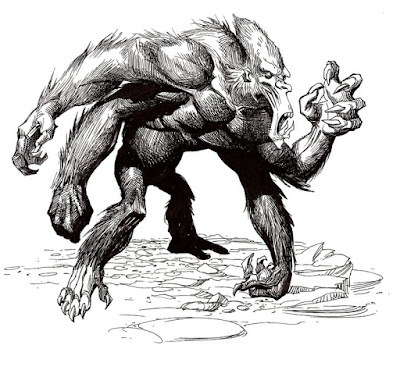 The white apes are found everywhere on Barsoom, but frequent the dead cities which provide them with shelter and hunting. A damaged civil war veteran finds himself mysteriously transported to Mars where his involvements with warring races of the dying planet force him to rediscover his humanity. If you don't mind minor plot spoilers you can read more here. Of the various creatures of Mars, the plant men who infested the Valley Dor always creeped me out the most. ERB conjured up a particularly vivid and hideous creation with these little lovelies. Here is my interpretation for your viewing pleasure, or displeasure as it may be. These rules are as complete as possible within the limitations imposed by the space of three booklets. That is, they cover the major aspects of fantasy campaigns but still remain flexible. As with any other set of miniatures rules they are guidelines to follow in designing your own fantastic-medieval campaign. They provide the framework around which you will build a game of simplicity or tremendous complexity — your time and imagination are about the only limiting factors, and the fact that you have purchased these rules tends to indicate that there is no lack of imagination — the fascination of the game will tend to make participants find more and more time. We advise, however, that a campaign be begun slowly, following the steps outlined herein, so as to avoid becoming too bogged down with unfamiliar details at first. That way your campaign will build naturally, at the pace best suited to the referee and players, smoothing the way for all concerned. New details can be added and old "laws" altered so as to provide continually new and different situations. In addition, the players themselves will interact in such a way as to make the campaign variable and unique, and this is quite desirable. 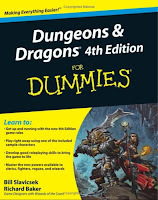 Dungeons & Dragons is a fantastic, exciting and imaginative game of role playing for adults 12 years and up. Each player creates a character or characters who may be dwarves, elves, halflings or human fighting men, magic-users, pious clerics or wily thieves. 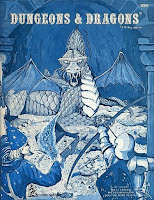 The characters are then plunged into an adventure in a series of dungeons, tunnels, secret rooms and caverns run by another player: the referee, often called the Dungeon Master. The dungeons are filled with fearsome monsters, fabulous treasure and frightful perils. 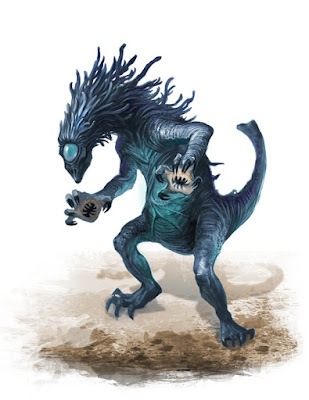 As the players engage in game after game their characters grow in power and ability: the magic users learn more magic spells, the thieves increase in cunning and abilit y, the fighting men, halflings, elves and dwarves, fight with more deadly accuracy and are harder to kill. 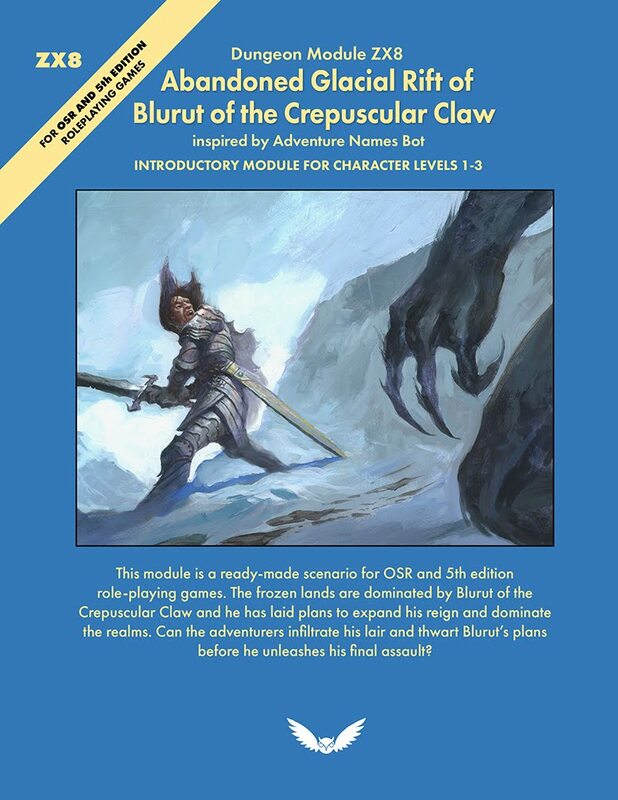 Soon the adventurers are daring to go deeper and deeper into the dungeons on each game, battling more terrible monsters, and, of course, recovering bigger and more fabulous treasure! The game is limited only by the inventiveness and imagination of the players, and, if a group is playing together, the characters can move from dungeon to dungeon within the same magical universe if game referees are approximately the same in their handling of play. The Dungeon Master designs the dungeons and makes careful maps on graph paper. The players do not know where anything is located in the dungeons until the game begins and they enter the first passage or room. They create their own map as they explore. 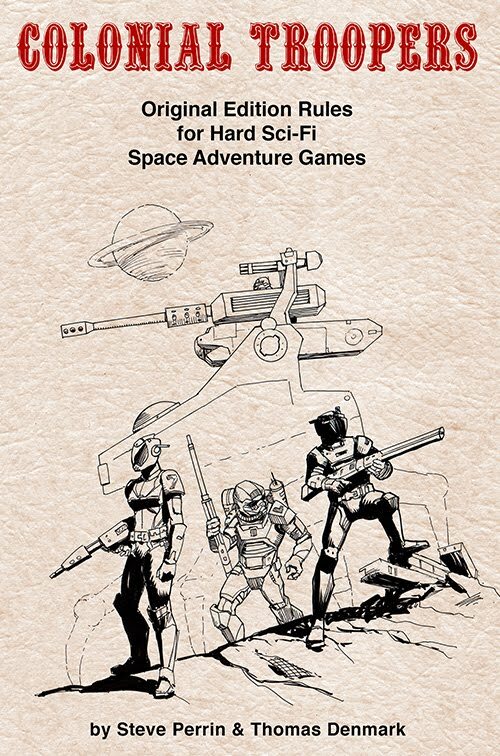 While only paper and pencil need be used, it is possible for the characters of each player to be represented by miniature lead figures which can be purchased inexpensively from hobby stores or directly from TSR Hobbies. The results of combat, magic spells, monster attacks, etc., are resolved by rolling special polyhedral 20-sided dice which come with this game. Dr. Holmes' normally succinct writing style is a bit long winded on this point. It seems that even 3 years after the printing of the original D&D what exactly this genie was that had been let out of the magic lamp, was still a mystery. Everyone played make-believe during childhood. Whether you played cops and robbers, cowboys and Indians, superheroes, or firefighters, you opened up your imagination and pretended to be something other than yourself. Dungeons & Dragons is a game of the imagination, a roleplaying game where players take on the roles of amazing heroes in a medieval fantasy setting. It's just like make-believe, only more sophisticated, grown up, and fun. D&D gives form and structure to your imagination, creating a leisure activity that's more interactive and open-ended than any movie, novel, or computer game. Just like the original we have something about medieval and fantasy, but this definition is more coherent. I like the comparisons to movies, novels and computer games and how D&D is more interactive and open-ended. 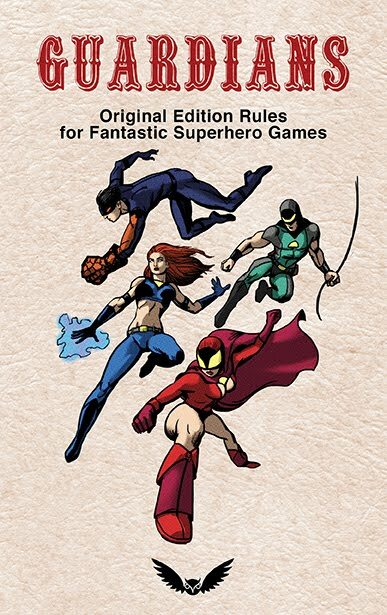 Many have tried their hand at defining this elusive thing called roleplaying game. There are wiki articles, forum discussions, the Oxford dictionary, and many others. I think the reason the ultimate definition has yet to be made is that RPG's are too many things to too many different people. The keys to a successful blog are timely posts and quality content. I'm failing miserably at timeliness, and not so sure about the quality. But I've been busy researching, drawing, and painting John Carter of Mars so this blog has been suffering. 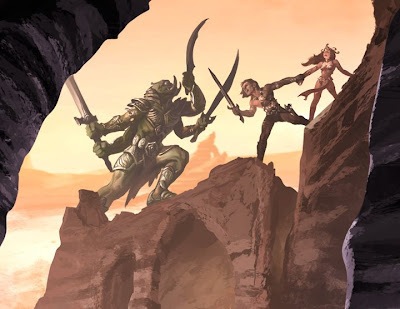 Over the next couple of months this blog will become the ERB Mars blog more so than an Original Edition Fantasy blog as I post art I'm doing for Al's excellent Warriors of the Red Planet RPG. Above is our intrepid hero defending his beautiful princess while battling a green martian! This is what I envision the chapter heading splash pages to be like. While the print edition of the book is likely to by B&W I painted this in color just for fun.